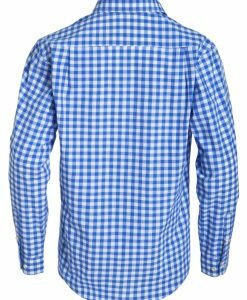 A blue checkered dress shirt with full sleeves and eye catching pattern. 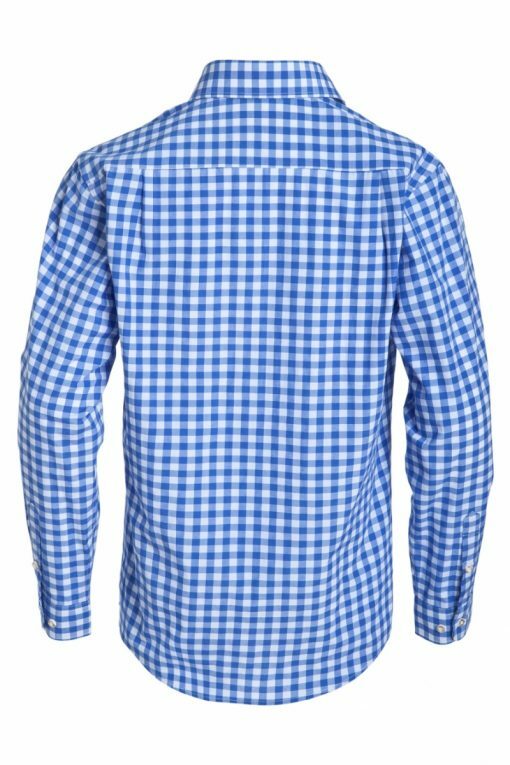 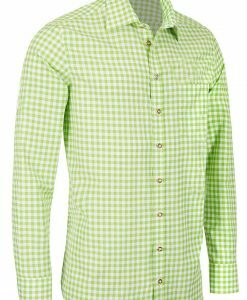 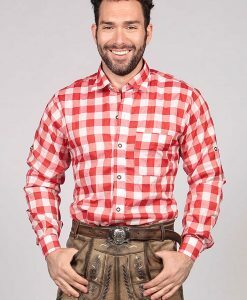 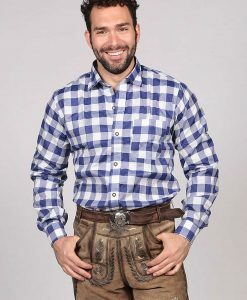 It has a mesh up of 3-shades check that give it a great bright look for as your next Oktoberfest costume. 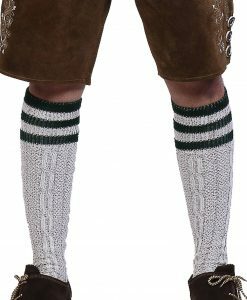 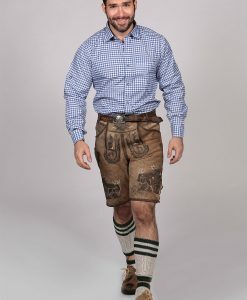 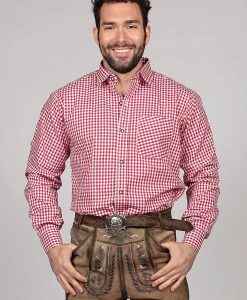 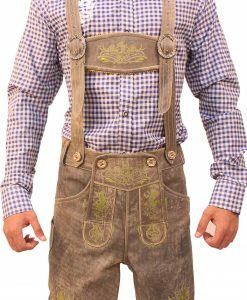 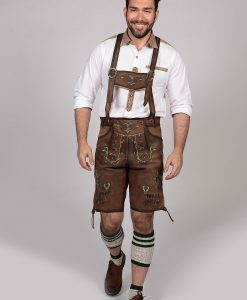 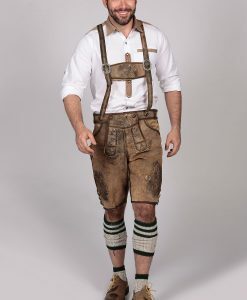 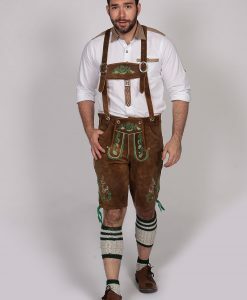 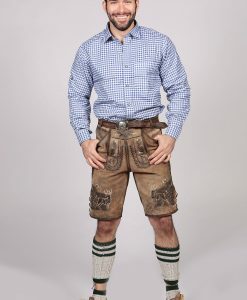 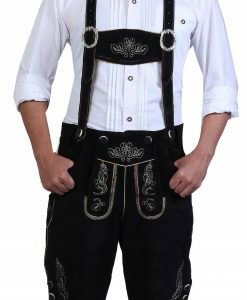 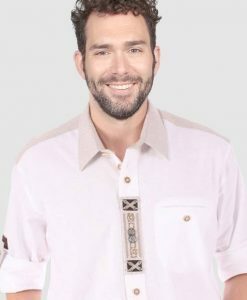 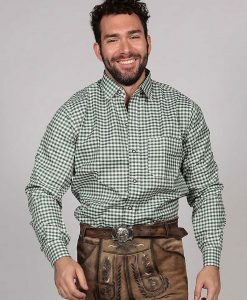 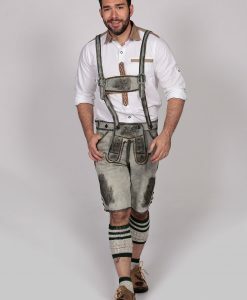 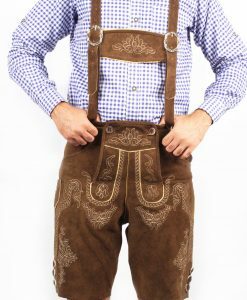 Wear it with a light colored lederhosen. 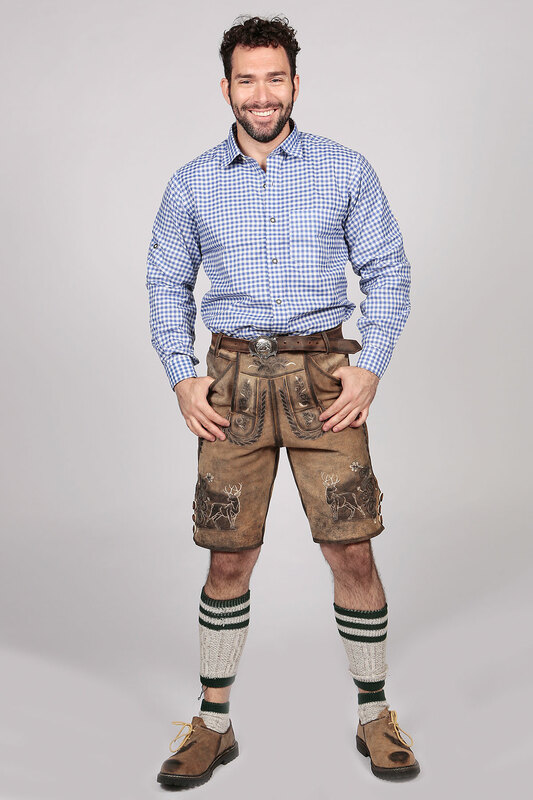 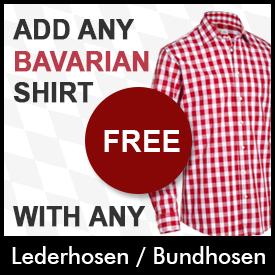 GET THIS SHIRT FOR FREE with Any Lederhosen or Bundhosen. Simply add this to your cart. 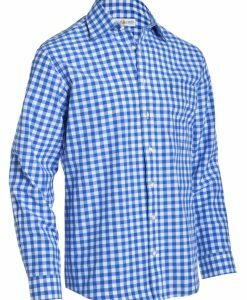 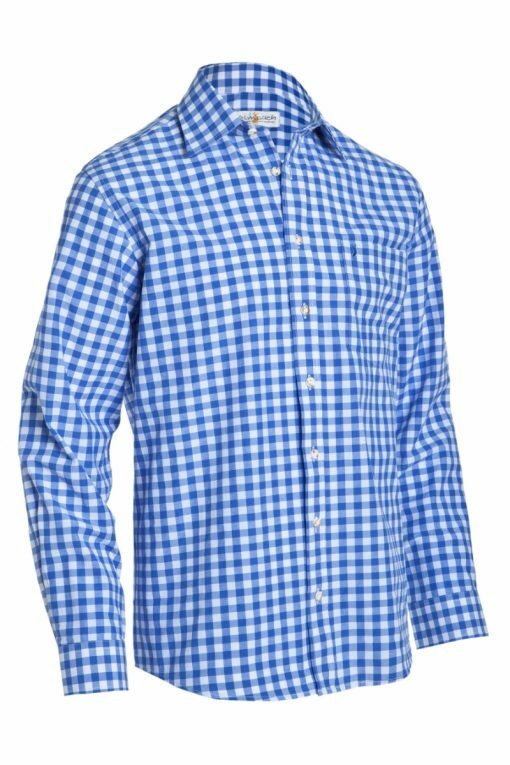 This nice blue checkered shirt is made of a mix cotton and polyester fabric to beat the heat. 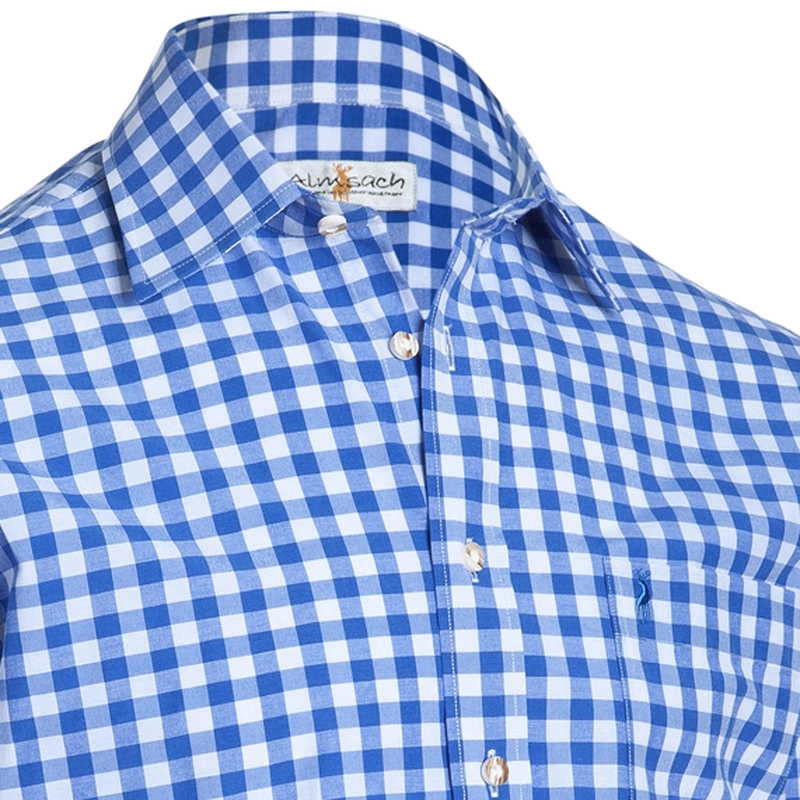 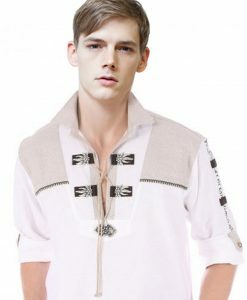 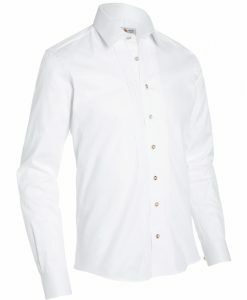 It has a neat diamond checkered pattern with a line of bockhorn style buttons. 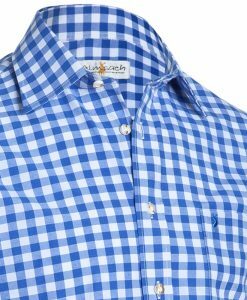 Includes a stitched chest pocket for ease. 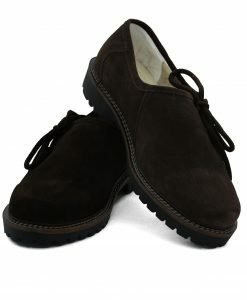 Wear this with any color leather trousers. 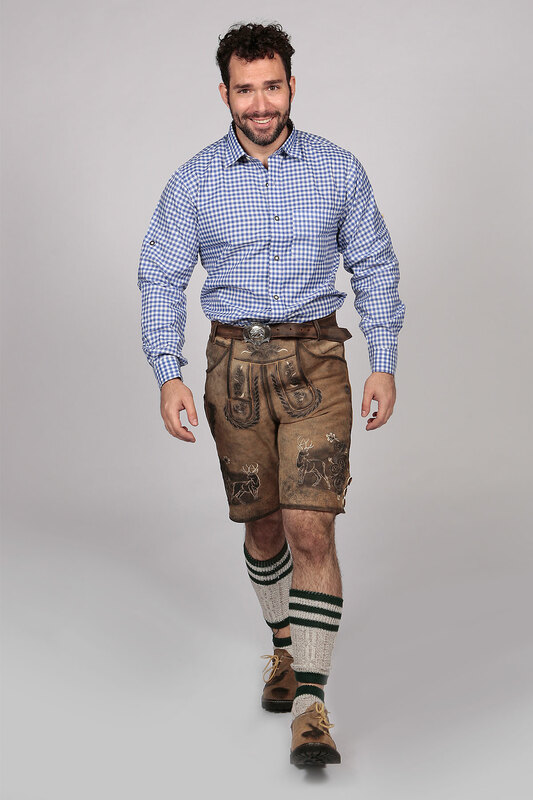 This shade of blue is diverse and can complement any kind of lederhosen you choose. 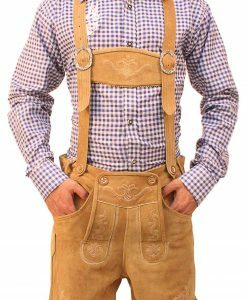 Will brighten up your experience for Oktoberfest this year.